Character plays a vital role when starting a business. People are observing you when they do business with you. They test your integrity and reliability without you knowing. No matter the ideas you have for a successful enterprise, your Character is critical. Do people have history of good reputation of you? How much can you be trusted? Thieves won't keep their money with thieves. To be successful in Business, you need 4 types of Capital, they are: Cash Capital, Capacity Capital, Idea Capital and Most Importantly Character Capital. Today we are going to learn the importance of character in business by Career Coach Guru himself, Muyiwa Afolabi. As required by the WHO Code of Ethics on Marketing of Breast Milk Substitutes, as well as the Local Code, and to give effect to the Code, the use of Infant Nutrition products, is increasingly being driven by prescription and recommendation from the medical and health profession. They represent the only target audience to which the Infant Nutrition Industry members can communicate and provide information regarding the benefits of Promasidor Infant Nutrition Products. The most important person in this communication process therefore is the medical representative (detailer or delegate) He or she is the representative of the company in the face - to -face communication with the medical and health professionals. This is important to build a climate of confidence in which the features and benefits of the Company’ specific product or services can be considered. In this context, the company medical delegate acts as the first line ambassadors of the Company to demonstrate the company’s commitment to the WHO Code of Ethics and related guidelines and policies. It is pertinent that the profile, training and motivation of the medical delegates are in line with these expectations. This document takes into account the need to maximise the contribution of each Company’s medical delegate to the overall company objective while still being ethical. Personality: Trustworthy, responsible, respectful, full of integrity, commitment to health and nutrition of infants. Positive and strong work ethic, accurate reporting and punctual. · Be a reliable source of information on products to HCPs. 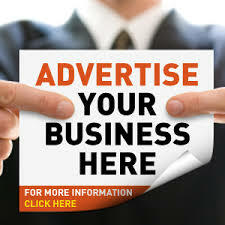 · Identify opportunities for new business. · Implement the WHO Code guideline and recommendations. Experience: One to two years’ experience in a similar role. 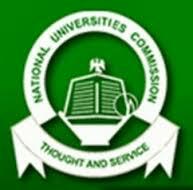 The National Universities Commission (NUC) was established in 1962 as an advisory agency in the Cabinet Office. However in 1974, it became a statutory body and the first Executive Secretary, in the person of Prof. Jibril Aminu was then appointed. The National Universities Commission (NUC) is a parastatal under the Federal Ministry of Education (FME). The Commission has a Governing Council, its Executive Secretary is Prof. Julius A. Okojie, who assumed office on August 3, 2006. Interested candidates must be graduates of any of the above-mentioned course/field from any approved Nigerian and recognized foreign universities with minimum of Second Class Lower Honours Degree. Masters inrelevant fields will be an added advantage. Masters in relevant fields will be an added advantage. Note: Only the shortlisted candidates will be invited for aptitude test and subsequently interview. Application Deadline 7th September, 2016. When contemplating the right career path for you, there are more things to think about than salary potential, job outlook and the education and experience you will need to attain the job, Degreequery points out clearly. You also need to decide if the career you’re considering is a good fit for your personality. How introverted or extroverted you are can make a big difference in what jobs suit you and tasks you feel comfortable and confident handling. If your personality is what Swiss psychiatrist Carl Jung called extroverted, you feel energized by being in social situations. You prefer to spend time with others rather than alone, and you feel comfortable, not anxious, when among large groups of people. Teachers who excel at their jobs often find it invigorating to meet new people and discuss new ideas. Each year brings a new group of students and parents to their classrooms, so teachers get to constantly meet diverse people in their communities. To some extent, teachers also get to set their own curricula. That means they have some control over what they talk about in class, so they can focus on areas that interest them. The position also gives them daily opportunities to talk about those interests in front of other people. Extroverted teachers may find that some aspects of the job are difficult for them to complete. Grading assignments, for instance, is a solitary job that doesn't offer much activity. Creating lesson plans may also present challenges for similar reasons. Overall, extroverts tend to make good teachers. Like any job, though, they have to learn to cope with duties that don't match their interests perfectly. Like teachers, physical therapists get to meet new people constantly. As a physical therapist, you might meet with one patient a few times while you help her rebuild muscle strength after recovering from a broken leg, or you might spend months teaching someone how to walk again after a serious accident. The nature of the job means that new people come into your office all the time. Extroverts may like working as physical therapists because they get to meet a lot of people. In many cases, though, it's their positive attitudes that make them good at their jobs. It's easy for some people to get discouraged when they don't see quick progress from a physical therapy plan. They need encouragement from an optimistic person who can keep progress in perspective. In addition to acting as health care professionals who know effective ways to rehabilitate patients, physical therapists work as cheerleaders who encourage small and large victories. Public relations specialists are master communicators who know how to express themselves in verbal and written formats. Since most extroverts enjoy talking to other people, they naturally develop many of the skills they need to do this job. People working in public relations need outgoing personalities that can help them present clients in positive ways. A public relations expert working for a restaurant, for instance, may need to forge relationships with regional journalists, chefs, and entrepreneurs. If the expert doesn't enjoy meeting and building relationships with diverse people, then it is unlikely that he or she will enjoy the job. The last thing anyone needs is a PR specialist who doesn't like meeting new people. Extroverts have many appealing traits that can make help them succeed. Other career options for extroverts include jobs in sales, human resources, government, and performance. For many people, the key to career happiness is finding a job that fits their personalities while also giving them opportunities to explore new ideas. As an extrovert, it usually helps to pursue a career that helps you meet new people often. This career can sound very vague and boring. However, when your days are spent being as creative and fun as you want them to be to get your clients name out there, then you won’t worry about the job title. Creativity, interpersonal communication, new challenges, and team work. This career choice fits all of the extrovert’s personality characteristics. Lawyers represent individuals, organizations, businesses and government agencies in legal matters that range from criminal trial proceedings to drawing up contracts and wills. They inform and guide their clients in legal matters ranging from business to personal. While television portrayals typically show attorneys at trials, lawyers don’t spend every moment of their time locked in real-life courtroom battles. They do a lot of their work behind-the-scenes, communicating with clients, investigating legal matters and collecting evidence, interpreting laws and drafting legal documents. They must communicate facts both in writing and verbally – and that’s where the career appeals to extroverts. When a lawyer goes to trial, he or she must be comfortable speaking in front of an entire courtroom full of people. Lawyers need to have the confidence to argue legal matters in court, in front of judges and juries, and to question witnesses and defendants. They must make their arguments compelling. For an introvert, this could be a daunting task, but an extrovert like you might find this to be the most exciting and rewarding part of the job. Please Note: The extroverts Should not be limited only to the listed Career above. They only serve as guide for him/her when making decisions as regards Career choice. 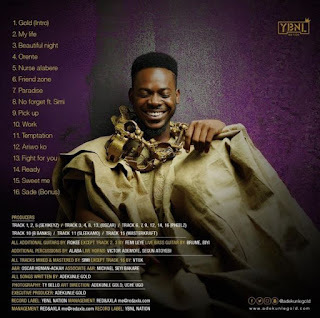 MUSIC: Adekunle Gold Finally Releases Debut Album, "Gold"
YBNL Toast, Adekunle Gold has finally released the most anticipated album of the year The singer who originally scheduled the release date for the 28th of July decided to release the album yesterday, the 25th of July in a bid to surprise his eager fans. Introverts commonly, but incorrectly, are labeled as those who don’t like people. Quite the contrary. Introverts can be shy or reticent, especially in public situations, but they tend to interact with others in a way that capitalizes on their energy. It’s true, introverts enjoy being alone. That’s when they tend to do their best thinking according to Psychology Today. However, they can be great leaders; especially when working with self-starters. Introverts are good at calming tense or combative interactions because they don’t engage or antagonize a person with inflamed emotions. Cooler heads can prevail. There are many avenues to pursue a career as a writer. You can work for yourself, as a freelance writer, or handle the copy production for a large company. Writing takes on many aspects from copywriters or persuasion for marketing and advertising to informational or instructional. Writers develop curriculum for educational programs. They create the content you interact with online and through social media. Writers are useful in a vast array of industries. Today, writers can produce great content by themselves in a quiet apartment or as part of a team – exchanging ideas. Introverts can really control the amount of human contact they receive with a career producing the written word. This is career that requires a certain amount of creativity and innovation, but not a ton of superficial human contact. Programmers can also exists successfully on their own in a freelance or contract basis as well as a part of a team in a larger corporation. Much of programming while involved in team environments must be done individually. Programming is such an objective career field, a solution either works or it doesn’t, that introverts can focus on the aspects of their career and steer clear of too much superfluous conversation if they like. Careers in these fields requires a significant amount of time dedicated to dealing with objective, fact based analysis. These careers are heavily dependent on dealing with areas that can be measured and engaged in with less emotion. These aren’t positions where anyone will be left alone entirely. However, the interaction in large groups tends to be minimized which is something an introvert will likely appreciate. 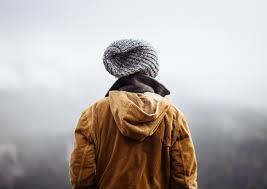 Introverts that are self-started and have a particular skill set that lends itself for self employment, contract, or freelance work can thrive in the solitude. Working for clients can require limited and focused contact. Those with skills such as graphics arts, editing, or even project management may find that hiring themselves out suits their interaction preferences while providing a comfortable income and more control over career choices. As a 360° leader, in addition to leading up, across and down, you need to lead out. Leading out means to be on the forefront of an action. Imagine a military commander leading troops into battle. Picture a team captain rallying her teammates for one last push. Leading out means extending your leadership and influence beyond your comfort zone. And it’s actually present in almost everything I write about leadership. In fact, even though leading out isn’t explicitly stated in my book, it’s a critical component of being a 360° leader. The concept is so essential, it’s almost inseparable from the idea of leadership itself. Now, this has all kinds of practical applications in a business or office setting. You lead out when you change the status quo. You lead out when you encourage others to follow your lead by growing and stretching themselves. You lead out when you challenge sloppy thinking, poor planning, or half-hearted effort. That’s just what a good leader does. But that’s not what I’m encouraging you to do today. What I want you to understand is that you need to lead out in areas other than just your office. In our modern culture, there is a leadership vacuum. We are desperate for leaders. The world needs men and women of character and integrity willing to step up to the plate and lead others well. But too often we talk about leadership as if it’s only applicable in the workplace. It’s almost like we think that people only need to be led when they’re at work – but nothing could be further from the truth! People need leadership in all aspects of their lives. And that’s why you, the 360° leader, need to be ready to step up to the challenge. So where do you begin? No matter what kind of family you have, you need to lead it well. I can’t tell you the number of times I’ve come across a superstar business leader whose family was in shambles. And why? Because there was no leadership at home. I think being a leader at home is as important as being a leader at work. 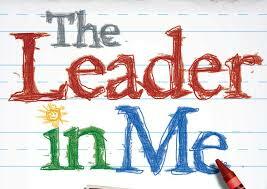 In fact, your home and family is probably the biggest sphere of influence you have as a leader. It’s where you will find the most teachable moments, the most opportunities for growth, and the most potential for developing other leaders who can help shape the world. It’s also the place where you can see – and savor – your greatest success. There are hundreds of people who live within minutes of you who struggle with life. They wonder if they have a purpose. They worry how they might pay their bills. They dream of things that could make the community stronger, if only someone would listen. To put it bluntly, there are hundreds of people in your corner of the world who are looking for a leader to help take them to the next level. Now, this doesn’t mean you have to start a non-profit organization or try to become a one-person army for doing good. In fact, it begins where all leadership begins: by valuing people. Just like you invest in the people who share your office space, look for ways to value the people you run into on a day-to-day basis near your home. Smile at folks. Give them a friendly wave. Hold doors for people. Tip generously when you’re in a local restaurant. Make a positive impact within your community, and others will follow your lead. Now, I’m not going to get into politics the way most people would expect. When I talk about leading your government, I’m thinking of a few simple, yet effective ways you can influence how things work at the local, state, and national level. The most obvious way of leading your government is by exercising your right to vote. Leadership is influence, and voting is one of the most influential things you can do. And as a good leader, you need to exercise that right. But you also have influence through your voice. You can email your representatives, make a phone call, and in some cases utilize social media to make your thoughts known to those who are elected to represent you. And you should. After all, you wouldn’t sit by silently and watch your company struggle, would you? So why would you allow apathy to guide you when it comes to your local and national government? Being a 360° leader is about more than just leading well in your office. It’s about being a leader in all areas of your life. It’s about looking at your home, your community and your country with a leader’s eye – seeking places where you can add value to others to help make things better. You have the potential to change so much more than the team you lead or the place you work. You have the potential to change the world. And my hope is that you will. Shalom! Cummins Inc. - A global power leader, is a corporation of complementary business units that design, manufacture, distribute and service diesel and natural gas engines and related technologies, including fuel systems, controls, air handling, filtration, emission solutions and electrical power generation systems. Headquartered in Columbus, Indiana, (USA) Cummins currently employs approximately 48,000 people worldwide and serves customers in approximately 190 countries and territories through a network of approximately 600 company-owned and independent distributor locations and approximately 6,800 dealer locations. Cummins earned $1.48 billion on sales of $17.3 billion in 2013. 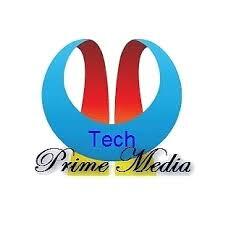 Prime Media Tech Solutions and Services - PMT story started three years ago when the founder was motivated to offer big design services at Lagos. He was convinced establishing a corporate base in close proximity to Lagos had advantages that would translate into cost savings, yes, for us, but most importantly for our clients. This programme will be for duration of 3 months and successful candidates will be fixed to the above job position. Applicants MUST have at least SSCE with fluent spoken English and writing skills. Must not be above 27 years as at the time of applying for this opening. Strictly for undergraduate in polytechnic or university in their 3-6 months or 1 year compulsory Industrial Training.